There was thorough frisking and general security check, no back-pack or oversized handbags were allowed. Thanks to the all pervasive evil of terrorism. I was told earlier there was free entrance sans security check. Times have changed from being peaceful to fearful. There was already a proof by way of a memorial to those killed in a terrorist attack at the entrance itself a couple of years back. Some people are like Rakshasas of Hindu mythology, only blood and killing satiate their hunger for pleasure (see pic. 2 of the Memorial). As I mentioned earlier, this year 2017, the festival began on 15th September and ended on October 3. 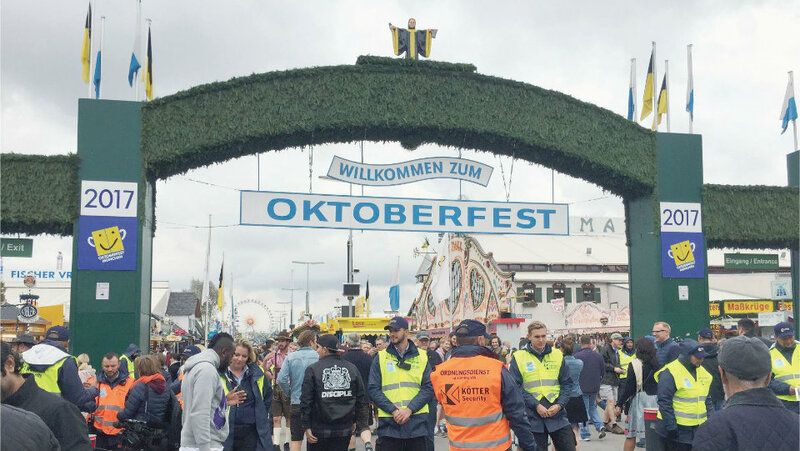 This was the 184th Oktoberfest. The fest is held on the original meadow, a short run from downtown Munich. We went there five days after it was inaugurated. I was told that the opening day was marked by a colourful parade of carriages (see pic. 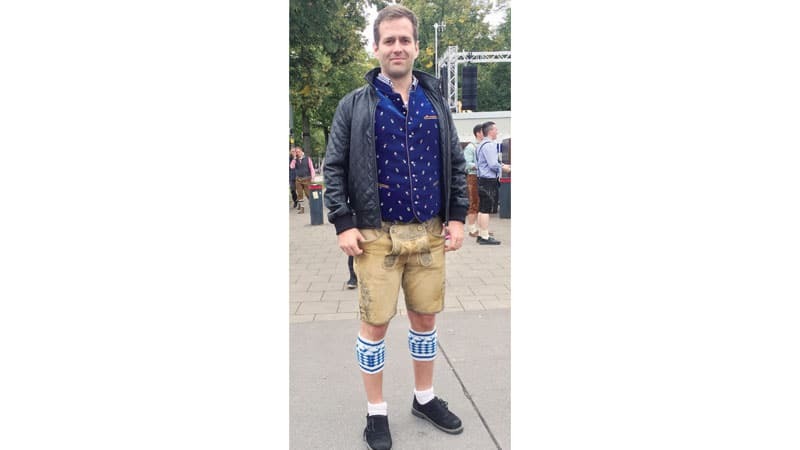 3), floats and people in a variety of costumes, mainly Bavarian traditional dress (see pic. 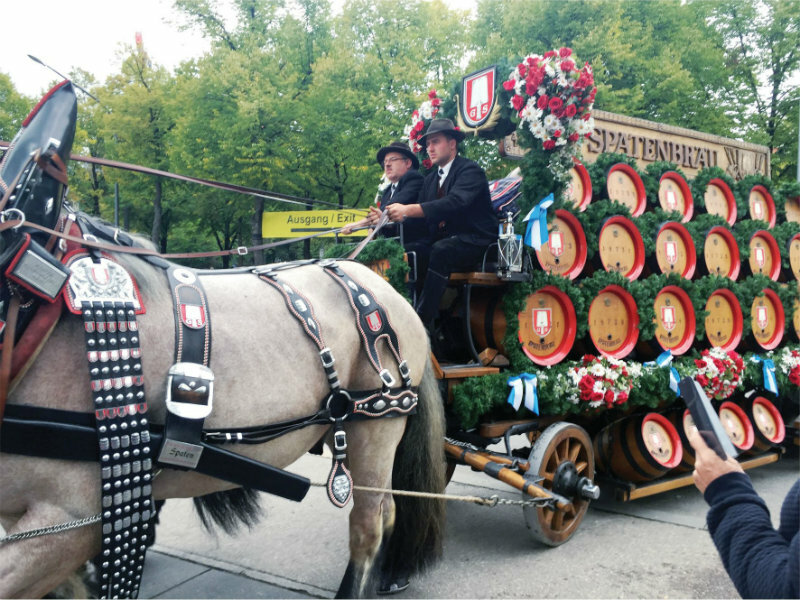 4) winding its way through the streets of Munich. As you enter the huge entrance, you will see on either side massive tents of various Beer Houses. Tents would be a misnomer to call them. They are made of modern light material roof. Some can hold upto 10,000 visitors. The one we chose had over 2,000 visitors seated on long wooden tables and benches. And there would be different levels and enclosures (see pic. 5). I was told that to get a rounded feel of the event I must try smaller among the 14 tents there were in the meadow. We chose Hackerbrau tent. And it was “A toast to cheer and for good times.” The beer is served in one litre glasses and there are buxom maids, reed-like boys and bulky men to serve you. The cost? 10.60 (about Rs. 800) per litre. As for eats, there is no end to the variety and served so fast it looked like magic to me. We, however, did not feel the pain of paying whatever the cost. Our table was booked by a good friend- couple of my son. It might have cost him a pile considering we were ten together and all carnivorous with great taste for good eating as if there is no tomorrow. When there is a litre of beer before you to wash down all that you eat, why not? 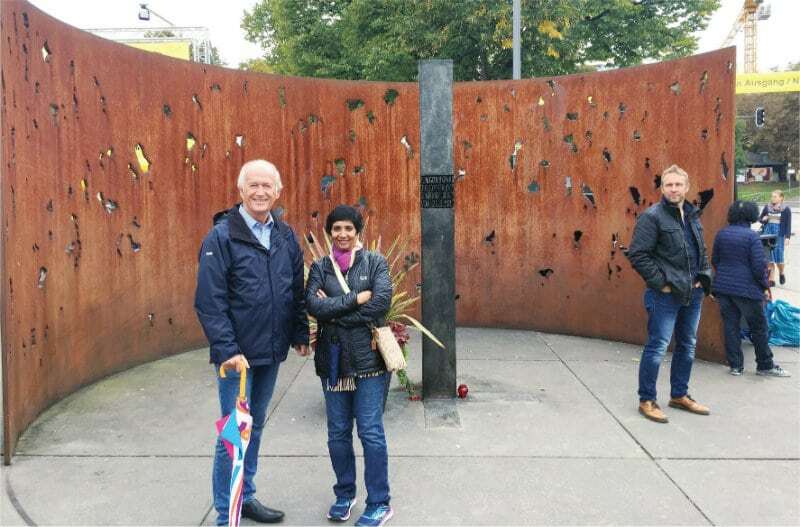 A million thanks to my son’s Indian friend Suresh Saligram and his charming wife Neetu, settled in Munich, for hosting us for the festival and for their most enjoyable company. READ ALSO The Game of Throne in Karnataka: Will New Year see New Govt.? When we left the place we were like besotted Bar flies. Yet, my son and I decided to visit the printing press and office of Germany’s vastly circulated newspaper “Süddeutsche Zeitung.” We went there by underground train, a 15-minute journey. It was a huge press managed by very few employees. Some experience to cut me and my son to size. One of the interesting sights for us was the Olympic Stadium of Munich. 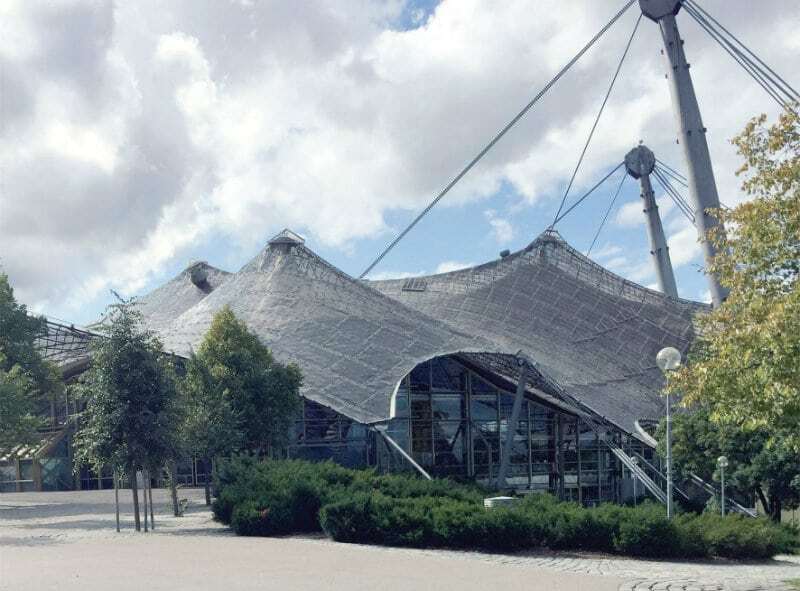 Built for the 1972 Olympic Games that saw a terrorist attack, we took a train to reach the place beyond the outskirts of Munich. What a surprise! I had earlier seen two Olympic Stadiums. One in Athens, Greece and another in Seoul, South Korea. But this one is so different, so distinctive in its architecture only an architect with a fantastic flight of imagination could have designed it (see pic. 6). I cannot undertand how one can drink so much beer¬ Insanity! For Germans , it is their custom, but for Indians, sheer craziness. One could enjoy Munich, as we do with frequent visits, without ingesting so much bitter.